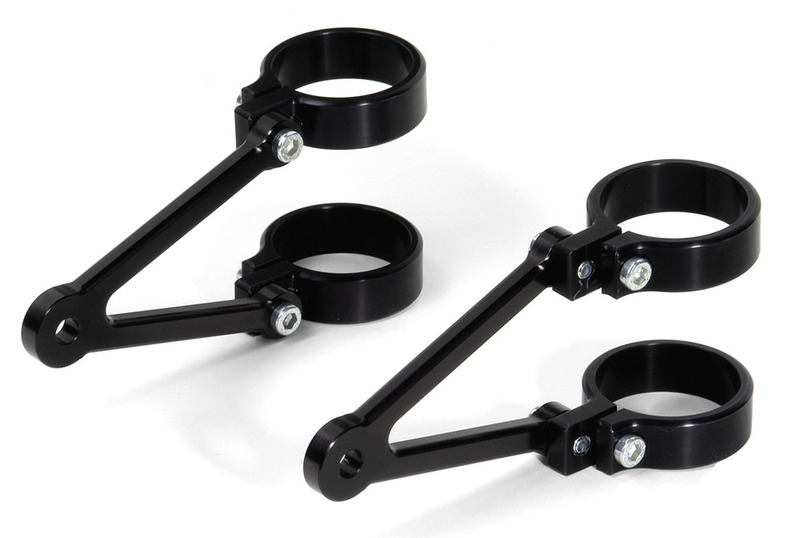 LSL headlight brackets and clamps are made from high quality anodized aluminum. The offset between the bracket and clamp allows for adjustment in width of up to 20mm. This allows you to use the kit for different size head lamps and forks. 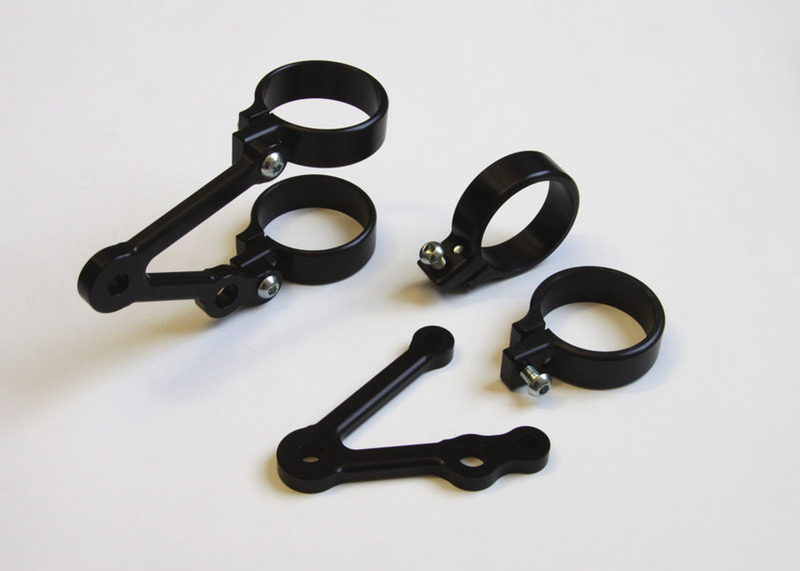 You can choose from several options when ordering the Headlight Mounting Kits. 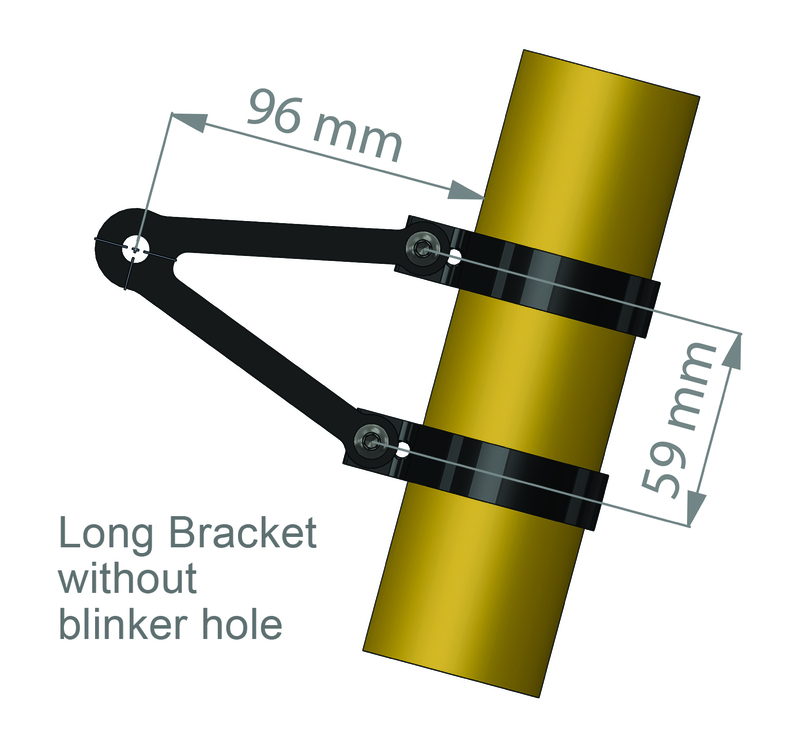 Fork clamps are available in assorted sizes from 35mm to 59mm to cover a wide array of fork sizes. 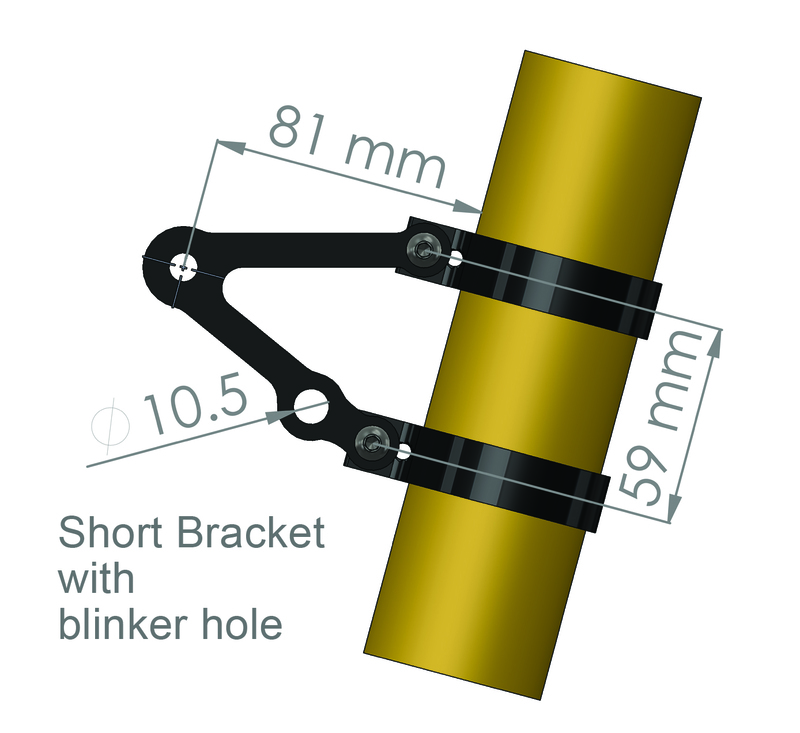 The brackets are available as short or long version, along with and without turn signal mounting holes.